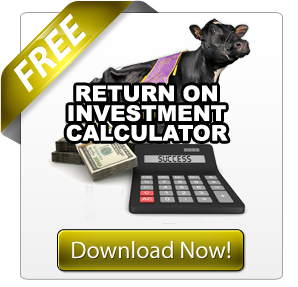 The Holstein industry’s hottest, newest contest looking for the complete cow didn’t disappoint. With over 2000 votes cast, there was certainly a lot of interest in this inaugural competition. First we would like to thank the judges: Roger Turner, Brian Leslie, Larry Schirm, and Alessandro Ravanelli. Their analysis of the 2012 Golden Dam Finalists combined with your votes determined the 2012 winner. As Judge Alessandro Ravanelli explains “We are in the genomic era and when we have to do a ranking of the great cows that Bullvine has nominated as GOLDEN DAM, we have to look at not only what the cows did but, also, at what they could do in the future.” No easy task and we thank these gentlemen for the much needed assistance. 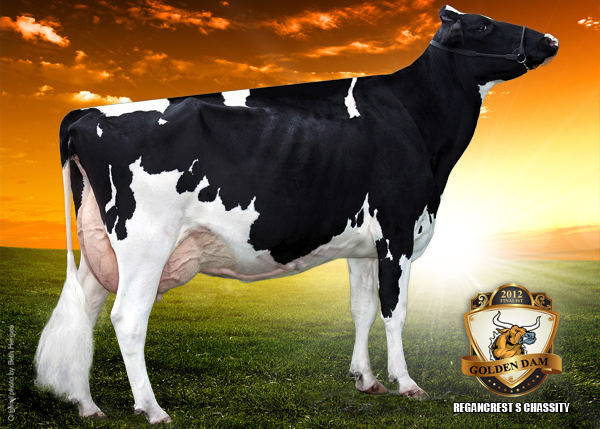 It’s unanimous GILLETTE BLITZ 2ND WIND VG-88-3YR-CAN 35* is our 2012 Golden Dam. As judge Schirm points out “few cows have ever had such success for high ranking sons.” Being the dam of five class extra sons is no small accomplishment. Nevertheless it is not a surprise for GILLETTE BLITZ 2ND WIND who is from the Braedale Gypsy Grand family that seems to do it with ease. Judge Turner adds “tremendous results in proven sires ranked in Canada in combination with outstanding females.” 2nd Wind has 10 daughters over +2000 GLPI in her native Canada. This six times number one LPI cow has been able to pass the torch to her daughter Gillette Bolton 2nd Sleep and her granddaughter Gillette S Planet 2nd Snooze. One voter, Justin Crowley, comments that she is “by far the most influential cow in the past 3 years! “ Judge Leslie points out “simply a wonderful line of the breed’s very best cows. For me the 2nd Wind cow is a standout, her own performance as a producer, then the performance of her daughters, but more importantly her incredible sons! 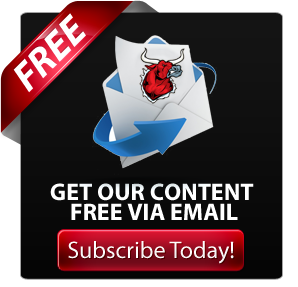 They are among the best bulls in the breed. They leave the kind of cows dairy farmers all over the world like – powerful, productive cows. It is the fact that she has so many top sons that puts her on top for me.” Well Brian, we could have not said it better ourselves. Ferme Gillette, as well as François Vermette who nominated 2nd Wind, will receive a 10 x 14 digital portrait of 2nd Wind. As well Ferme Gillette will receive a jacket commemorating the achievement. We would like to give special thanks to all those who helped us pull this inaugural competition together. Thanks to the breeders and owners of all of these final animals who helped us compile the articles. Thanks to the discerning judges who helped us evaluate these fine animals. 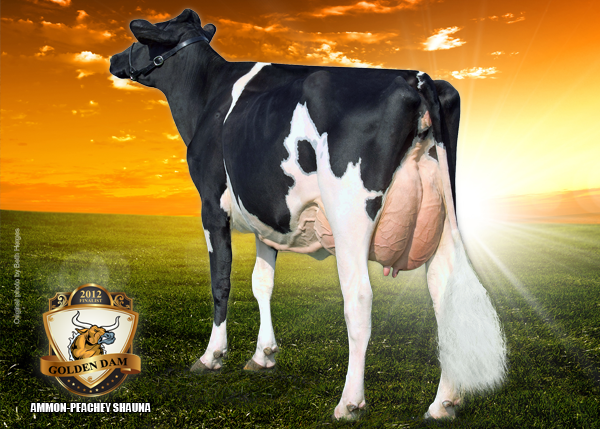 Last but not least, thanks to you, the dairy breeders, who in commanding form got out and voted for your favorites. Choosing the greatest dam in the world can be very challenging. Choosing from over 100 nominations that our readers put forward can be almost impossible. Nevertheless the Bullvine staff is up to the challenge and here are the finalists. 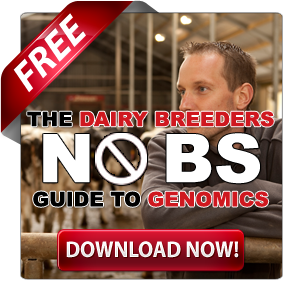 When it comes to consistently putting out top genomic animals that have DGV’s that are higher than their parent averages, you cannot beat AMMON-PEACHEY SHAUNA. The added bonus is not only do Shauna’s progeny top the GPA TPI lists but they also do well on the Canadian lists with 13 of her progeny over +3000 GPA LPI. Shauna seems to be a cow that can do it all. 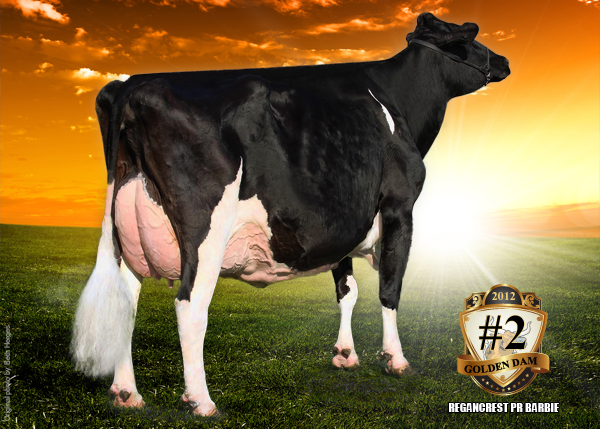 Her Robust son, Supersire is the #1 Net Merit sire and the #2 GPA TPI sire. Again Shauna is a cow that flushes well and she has a great photo to market from! In 2009 Elsa impressed breeders with her many daughters with remarkable production, type scores, breeding values, genomics and show results. 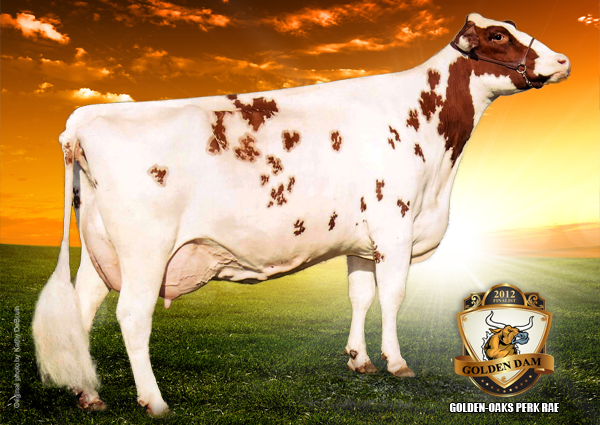 In 2010 her breeding achievements were equally as strong helping her earn the 2010 Global Cow of the Year Award. Daughter success includes FG ESLA 12 VG-88 as a 2 yr. old and who is also dam of Broeks Bolton Else VG-86. Of course you cannot forget her extremely popular son Flevo Genetics Snowman. Being the dam of five class extra sons is no small accomplishment. Nevertheless it is not a surprise for GILLETTE BLITZ 2ND WIND who is from the Braedale Gyspy Grand family that seems to do it with ease. 2nd Wind is also able to achieve it on the female side with 10 daughters over +2000 GLPI in her native Canada. This six times number one LPI cow has been able to pass the torch to her daughter Gillette Bolton 2nd Sleep and her granddaughter Gillette S Planet 2nd Snooze. Perk Rae is an 8th generation EX, and she is a Red Roxy. On top of that she is polled. What more could you ask for? She has a Durham daughter scored EX-92, as well as 8 VG daughters. Perk Rae has been a popular contract cow with sons in AI and embryos exported around the world. Perk Rae has seven EX sisters and her dam is an EX Rubens sister to Scientific Debutant Rae. 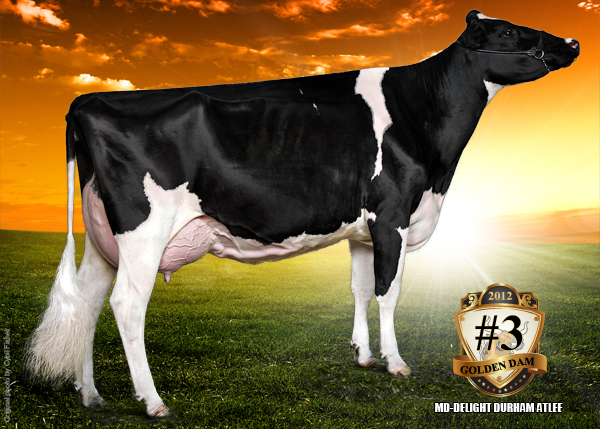 She is also the winner of the 2012 Red Impact Award from Holstein International. The “million dollar cow” Lila Z has now produced 11 VG first lactation daughters. She was All-Canadian Jr Yearling, Jr. 2 YR, and HM Int. Champion at the 2004 Royal. As well she was Int. Champion at Quebec Spring show in 2005. She was Reserve Grand three times: at the Atlantic Spring Show in 2007, Ontario Summer Show 2007, and Autumn Opportunity Show in 2008. 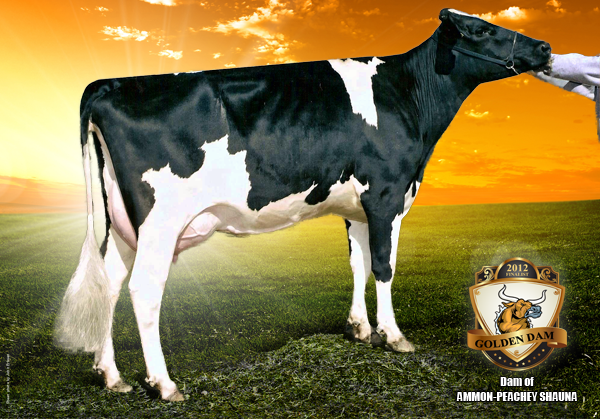 Lila Z daughters include Goldwyn Lilac VG-89, Comestar Goldwyn Lala VG-87, the dams of Genervations Lexor and Gen-I-Beq Lavaman, former #1 and #2 genomic sires in Canada. Daisy does it all. She has high production, fitness, longevity and outstanding type. This Excellent Durham granddaughter of Markwell Bstar Raven EX-95, who as a young cow made many waves at Madison, also transmits it all. 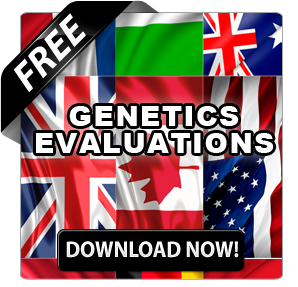 Numerous daughters, granddaughters and their sons distinguish themselves in the genomic rankings. As a bull dam in 2010, Daisy had some fabulous results with the high-ranking O-Man sons Dakota (the Netherlands), Duke (Germany), and Osaka (Spain). 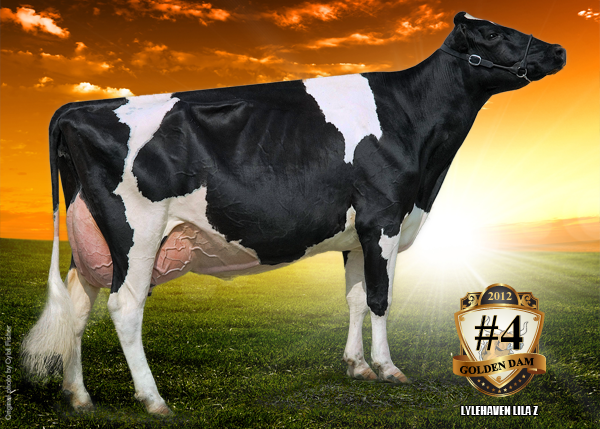 In 2012, Daisy’s first progeny sampled grandson, Danillo, provided an impressive sequel with top position in the Netherlands. 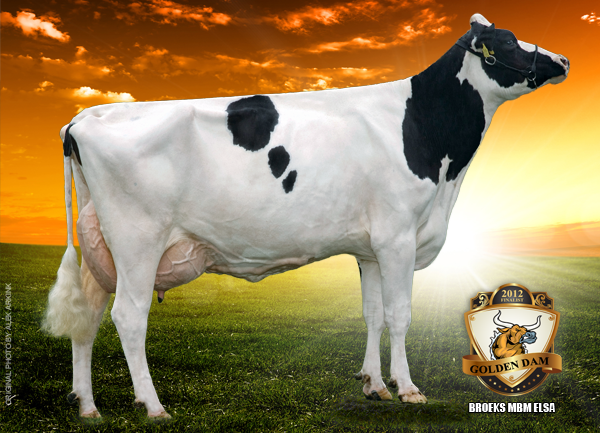 Atlee’s sons, with their super-high genomic numbers for type, the bulls Atwood (by Goldwyn), AltaAmazing (by Goldwyn), and Aftershock (by Shottle) are now as well known in the Holstein industry as any daughter-proven sires. Atlee also has extreme conformation herself, winning reserve Int. champion at Madison in 2005. She comes by it naturally with her grand dam being MS Kingstead Chief Adeen EX-94 (the full sister to World Champion Shoremar S Alicia EX-97). Atlee’s daughters include Madison Junior Champion MS Atlees Roy Autumn VG-89, MS Atlees Gold Abigal VG-89, MS Atlees Goldwyn Ariel VG-89, who sold for $1.5 million, and the outstanding MS Atlees Shottle Aubry. In addition to 7 EX daughters, Fudge is dam of the proven O-Man sons Cricket (Netherlands) and Focus (US), as well as the Goldwyn son Confirm (US). Her grandsons include Gold Crown and Goldwyn Coach (from her O-Man daughter Christmas Cookie), Shottle Chariot (out of her EX Finely), and Twin-B Cassino, (a high genomic Ramos out of her Shottle daughter). Her show winning September daughter Crystal EX-93 had a full sister that is the dam of the Bolton mother of Sandy-Valley Colt P-Red. REGANCREST PR BARBIE is the sixth generation of the Regancrest breeding program combining both the Dellias and the Brinas. Eleven of her daughters are ranked in the top 25 of the American type index list. Barbie’s offspring consistently generate top prices at international sales. In 2009, granddaughter and fellow finalist, Regancrest S Chassity EX 92, sold in a package with her offspring for $1.5 million. 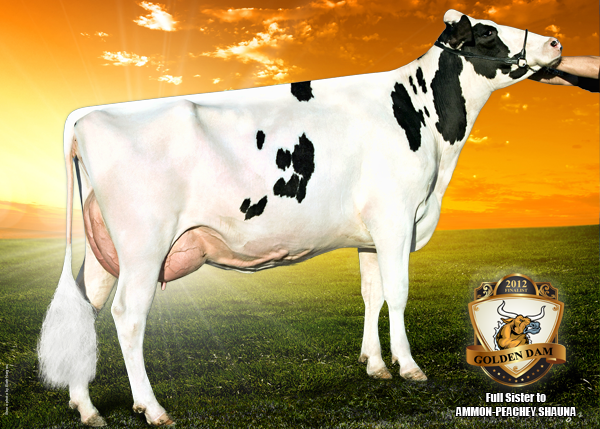 Barbie is the dam of 14 EX & 16 VG daughters and one of the breed’s leading type sires – Braxton EX-95. 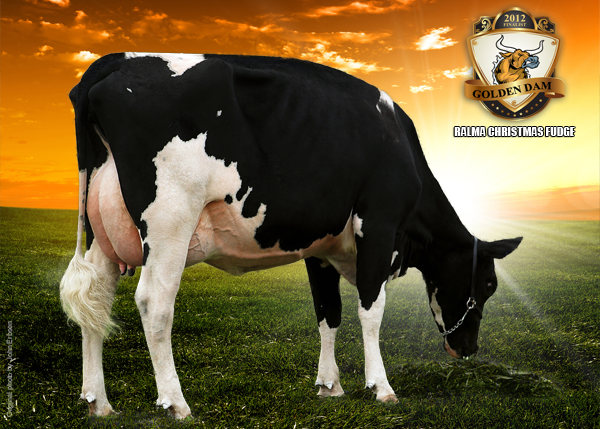 Chassity was the world’s top selling cow of 2009, selling along with offspring for $1.5 million. 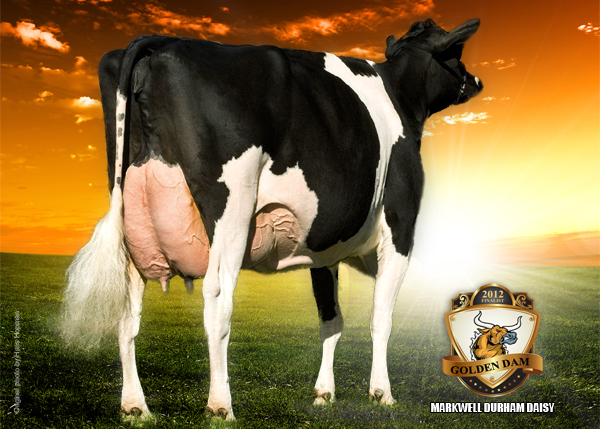 In 2010, Chassity’s daughter Goldwyn Cash was the world’s top-selling individual, being purchased for $205,000. The full brother to Cash, Mr. Chassity Gold Chip, has been the #2 GTPI sire in the US. Sky-high genomic numbers on Chassity’s progeny, especially for type, help keep this granddaughter of Regancrest PR Barbie constantly in the news and helped her tie for the 2011 Global Cow of the Year. 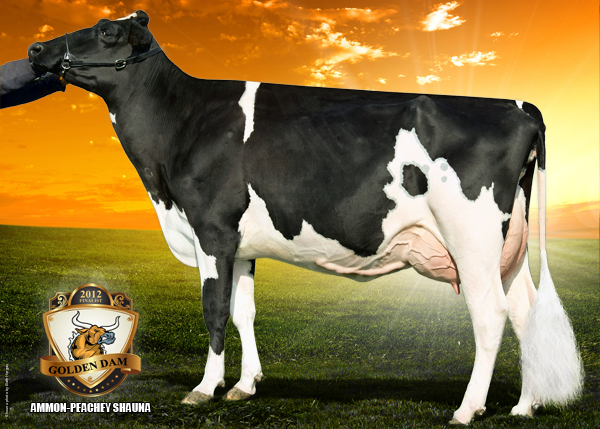 This year’s finalists represent a great cross section of the Holstein breed. We have some of the greatest cow families in the history of the breed as well as some of the ones that are still starting to make their mark. Which cow do you think has had the greatest impact? Let us know. Your vote counts.